Signup for my newsletter and be the first to get the next edition of Art by Nature Magazine. 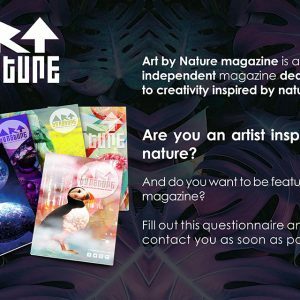 Like reading Art by Nature Magazine? With your donation, you're helping fund a volunteer-run and passionate magazine.